We are proud to announce the breast cancer charities that are now a part of our ‘Breast Cancer Allies’ program. Thank you to the supporters that make this possible year after year. The Tutu Project, from the Carey Foundation, will donate the money to breast cancer charities, helping to ease the financial burden of cancer diagnoses for women, men, and their families. 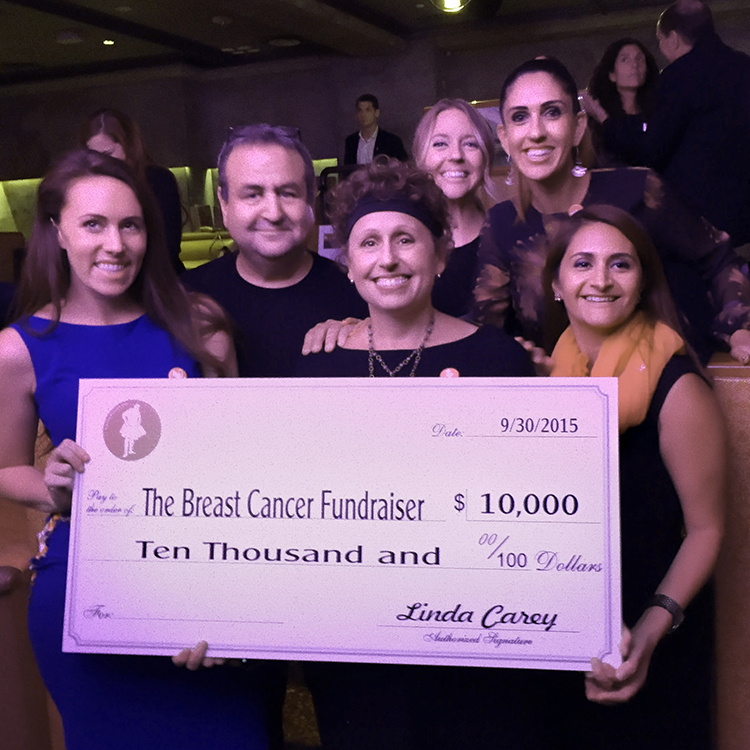 NEW YORK CITY, NY, September 20, 2016 – The Tutu Project™, a fundraising program from The Carey Foundation, today announced eleven grant recipients who will receive $100,000 in breast cancer charity funding. The donation will go to services that provide support and care for people and their families that are affected by breast cancer. The Tutu Project awarded grants based on a non-profit organization’s alignment with the program’s mission, which is to provide financial support and counseling, helping to relieve the financial and emotional burdens that come with breast cancer diagnoses. U.S. Breast Cancer Statistics estimates that around one in eight women will develop invasive breast cancer in their lifetimes. In 2016, an estimated 246,660 women are expected to be diagnosed with invasive breast cancer, with a further 61,000 diagnosed with non-invasive breast cancer. These services help to support people, providing everything from wigs to help in the home, transportation, childcare and more. The Tutu Project releases grants twice a year, partnering with these organizations in order to reach greater audiences, sharing resources and support across the globe. The most recent donations have been driven primarily by their major sponsor, Bloomingdale’s and the Tutu Project’s new initiative Dare2Tutu™, encouraging people across the world to wear a tutu, take a picture and make a donation. Individuals and companies including JetLinx have participated in this, significantly increasing donations. “We are truly pleased to provide financial backing to non-profits that support women and men’s physical, emotional and financial needs following a cancer diagnosis, and as they undergo treatment,” said Linda Lancaster-Carey, co-founder of The Tutu Project and President of The Carey Foundation. Linda has been living with metastatic cancer for 12 years, during which time both she and her husband Bob launched The Tutu Project as a fundraising force for The Carey Foundation. The Tutu Project began in 2003 as a photography project from Linda’s husband Bob, a burly, hairy-chested man in a pink tutu. The Carey Foundation works to provide financial support for women and men diagnosed with breast cancer, survivors, and their family members. The Foundation was founded by Linda and Bob Carey, creators of The Tutu Project. Funds raised with the support of The Tutu Project, individual and corporate donations are provided directly to organizations that offer assistance with cancer-related costs like transportation to treatment, home care, child care and medical supplies.